Albion Prian is one of the products what I used to recover my bad skin condition. When I went to the counter of Albion in big city, the BC recommended me to use Albion Prian. This is one of the first items of Albion, more than 40 years. They did not change the price for more than 40 years. Anyway, let me tell you the way to use. Originally, this is just an emulsion. Albion’s method is Milk (emulsion) first, lotion second. But what she told me is using this as a face wash.
OK, at first, I know someone who mix with face wash and makeup remover. Basically, we Japanese use a makeup remover and a face wash. There are also all in one item. As the BC’s recommend, apply this to your face by cotton, and rinse well by water in morning. In evening, I often use oils to remove my makeup. To keep my face moist, apply this on my face by cotton, and rinse well by water. I was really surprised when she applied on me, I found my (a little bit) black pore were cleared. Frankly to say, I feel sting by this. According to her, this is an emulsion, it is no problem with if you could not remove this well. Yet, it is too uncomfortable for me. I washed well. Basically, I do not keep using items what give us sting. However, I felt it was nice to feel my face is moist well. I have already done with this bottle. Sadly, we are not going to deal it regularly. Because this product is cheap, almost USD20, but the bottle is a glass bottle, it is quite heavy, and we need to wrap really, really carefully. It is ridiculous to charge you the shipping (with handling ) more than the original price. Secondly, seemed there are no stores nearby dealing this regularly. We need to order through stores. It is also inconvenient for us. I often use lotions for cotton pack/ mask. Sometimes I buy lotions with emulsions. 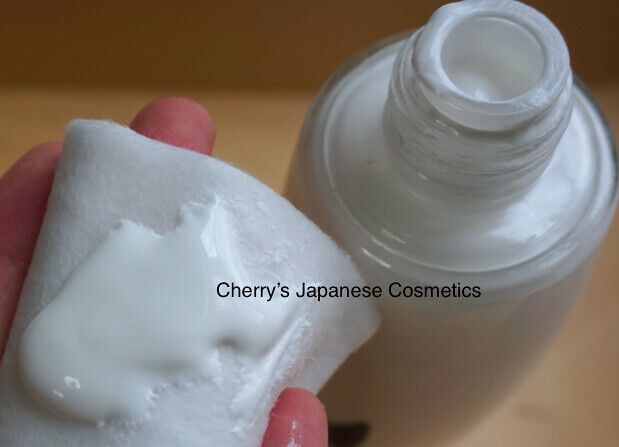 (Oh, I need to tell you about regular Japanese skin care method, what I forgotten) Lotions are easy to use at all, but there are some emulsions are left. I sometimes wash those emulsions like this Prian. Comparing this Prian and other emulsions, some are oilier than Prian. I guess this Prian is quite good balance with oil and water.